Burlappcar: The 1100 miles Electric Bus! I know it sounds pretty crazy. 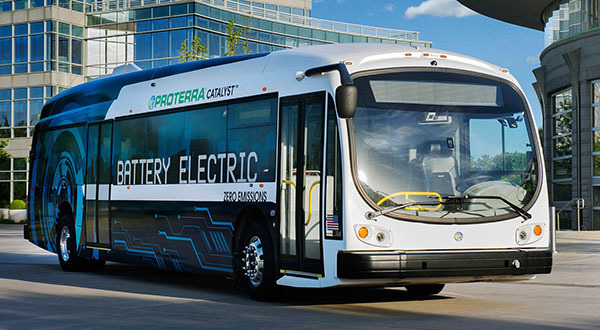 But Proterra has been able to squeeze 1100 miles on a single charge while testing their new Electric Bus. Even if the real world number drops to around 900 or even a bit less. This is quite an achievement. And it takes about 5 hrs to charge. These should be replacing every single bus in the country. And how about the noisy garbage trucks!